Individual wealth in real estate grew by 8.62 per cent to reach Rs 60.25 lakh crore in FY17. Wealth in real estate in the country is likely to double to Rs 121 lakh crore in the next five years, signifying a turnaround for the sector in future, a report said. Individual wealth in real estate grew by 8.62 per cent to reach Rs 60.25 lakh crore in FY17. 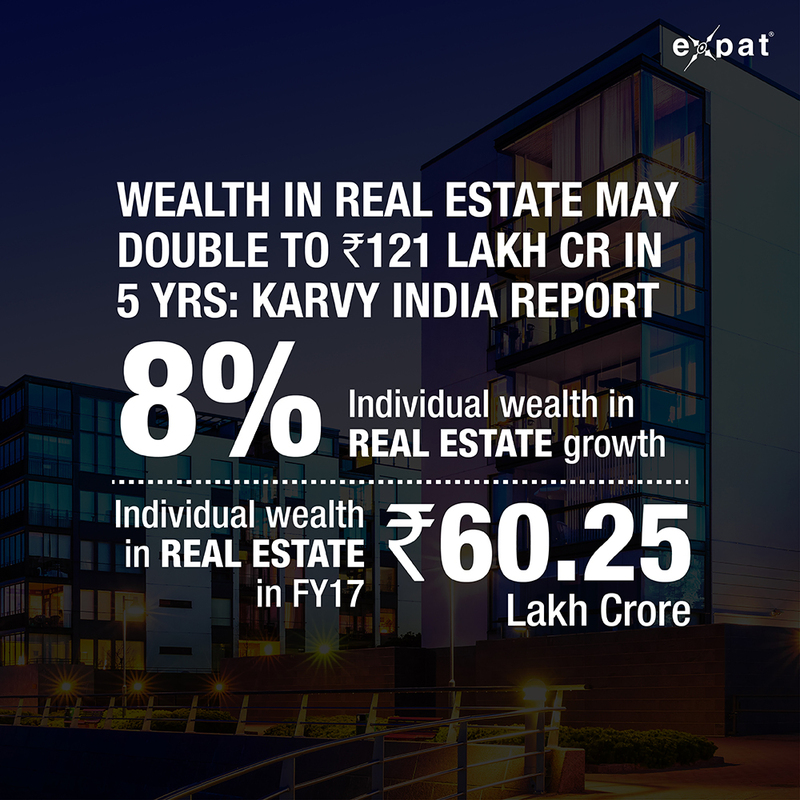 Demonetisation, implementation of RERA and GST are transforming real estate sector in India, according to a study by brokerage Karvy India Wealth Report. "Individual Wealth in physical assets grew to Rs 140 lakh crore in FY17, having grown by 5.92 per cent as against 10.32 per cent recorded in FY16. Individual wealth in gold stood at Rs 68.45 lakh crore, which is close to half of the total physical assets base. 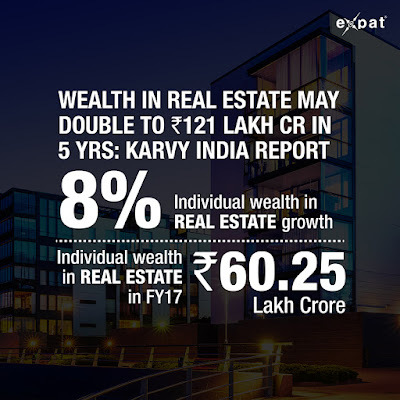 Similarly, wealth in real estate came in second at Rs 60.25 lakh crore," Karvy Private Wealth said in its 8th edition of the India Wealth Report. Gold and real estate together form nearly 91 per cent of the physical wealth in India, it said. "In the physical assets space, Indians love for real estate will continue. Wealth held in real estate is likely to double to Rs 121 lakh crore over the next five years. This indicates a revival of growth in real estate sector in coming years on the back of increased transparency in regulations along with renewed focus on affordable housing segment," Abhijit Bhave, chief executive officer of Karvy Private Wealth said in the report. By FY22, the proportion for real estate will increase to 51.57 per cent against 43 per cent in FY17 growing at a CAGR of 15 per cent, the report said. Despite contraction of physical assets base, real estate is likely to become the most preferred physical investment option for Indians in coming years, according to the report. The report also covers the concept and need for having a Family Office among Ultra high networth individuals (HNIs). Family offices bring together teams of legal, financial, investment and administrative experts to provide a wide bouquet of services to ultra HNIs, it says. These services cover two broad areas – managing the corpus and wealth of families and setting up structures and processes for smooth transfer of wealth through generations. "Be it philanthropic investments or strategic equity investments, property management or personal tax advice, succession planning or M&A, children’s education or personal counselling…family offices are much more than just wealth management and investment advisory firms," the report said. PTI VVK NSK . Govt Notifies More Planning Areas!